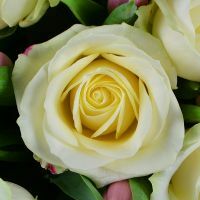 Rose white(23 pt. 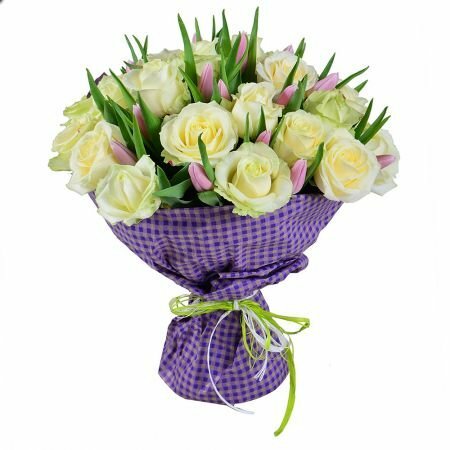 ), Tulip pink(15 pt. ), Packing(1 pt. ), Tape(1 pt.). 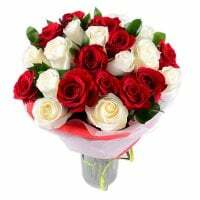 Birthday, Classic bouquets, Colleague, For her, For mother, For young lady, Gratitude, I Miss You, New-born, Recover, Sorry, Wedding flowers, With love, Аnniversary. 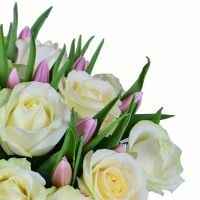 Bouquet «Tender love» of the magnificent white roses and trembling tulips makes everyone dizzy by its aroma and ease. 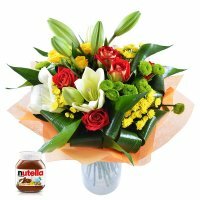 Amazing flowers breathe the freshness, filling all around with wonderful aroma. 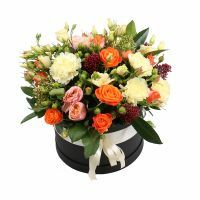 That is, in the opinion of our florists, how tender love looks: exquisite, elegant and modest. 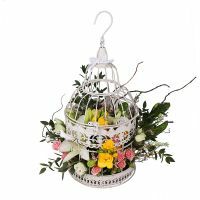 You can buy our delicate bouquet for a girl or wife on the anniversary of dating, her name-day, the important date of a personal nature. 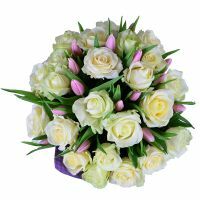 Besides, white roses combined with pink tulips will be a perfect compliment to the bride or the couple on their wedding day. Just want to make an offer? 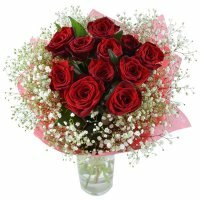 Take this bouquet as a help, it will be able to express the most tender feelings easily and eloquently, and what's the most important - very gently!